On Sunday afternoon, October 23rd at 3:00, the First UU Society of Middleborough at 25 South Main Street will present a colorful concert of classical and contemporary music. Former organist and recitalist, Natsumi Malloy, will offer selections on the historic Woodberry & Harris tracker organ. 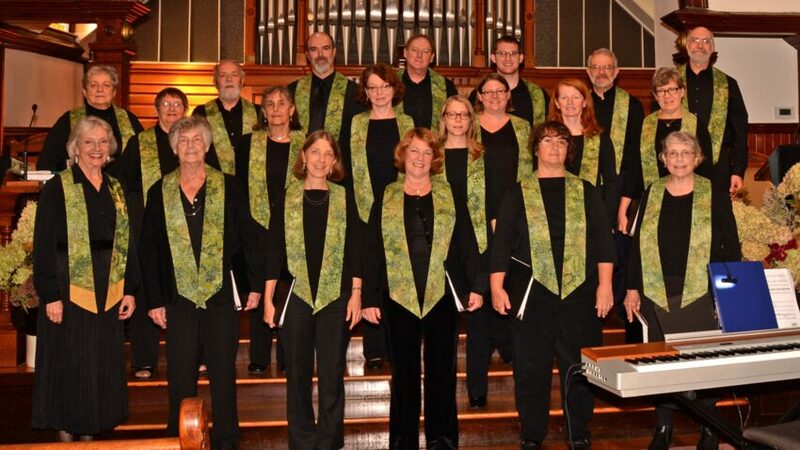 The UU Chalice Choir, directed by Susan Hotchkiss, will be featured along with vocal ensembles and soloists presenting a broad spectrum of music and styles. One of the choral anthems is “Spiritus” from Paul McCartney’s choral suite called Ecce Cor Meum (Behold My Heart.) That Paul McCartney would move from writing ballads for the Beatles to compositions for choirs is a marvelous testament to the opportunity for growth and expression through music. Another far-reaching musical offering is the South African hymn “Ukuthula” which was sung by choirs all over the world and posted on YouTube on September 21st in commemoration of the International Day of Peace. The musicians at First UU believe that music is a way of bridging divisions in order to create a sustainable and nurturing community. Everyone is invited to enjoy raising the rafters with songs and melodies that celebrate life and love. This is a free concert, open to all. There will be a freewill donation basket ($10 suggested) to help defray costs, and a social time after the concert for refreshments and conversation. For more information, you may contact Susan Hotchkiss through the UU church office at 508-947-1935. Childcare is available upon request.